It is no secret that hospitals not only charge high prices for services, but they are also paid highly for those services! Analyzing data from medical cost transparency website mymedicalshopper.com, comparing a physical therapy evaluations performed in an independent outpatient clinic vs. hospital affiliated clinics, the difference is a staggering! The paid claims are 150% to 300% higher in the hospital setting!!!! Don’t believe us? Check for yourself by logging onto www.mymedicalshopper.com. Keep in mind the numbers you see are paid claims not billed charges. The argument used by hospitals is that their charges are meaningless because charges are inflated to adjust for contractual discounts with insurance companies. This doesn’t explain away why they are paid so much more for the same or inferior service and outcomes! 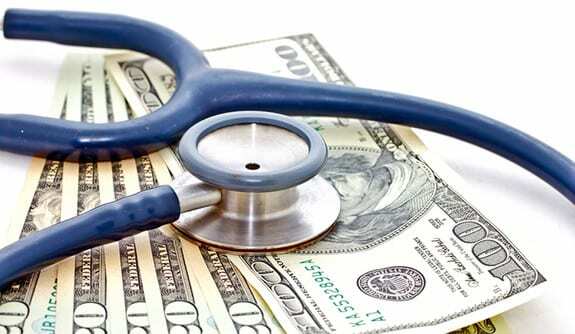 They also claim higher reimbursements are to cover the hospitals high costs to provide service or to cover uninsured. The argument that the tax benefits and higher reimbursements awarded to hospitals are to ” care for those who cant pay”, is a farce. In case you haven’t noticed, it appears these hospitals are using the additional revenue for competitive purposes. Specifically look at the Seacoast area of New Hampshire where the hospitals are building massive buildings with repetitive services. In many cases these places are right on top of each other in an attempt to gain territory and market share. What I see unfolding is similar to gas stations or pharmacies opening directly across the road form each other! Unlike the gas station example, the additional competition does nothing to drive prices or costs down. In fact it appears to have the opposite effect! Finally the Center for Medicare and Medicaid Services (CMS) is now requiring hospitals to post their charges! You will now have some level of transparency in what hospitals are charging for services. Not only will you be able to shop services and compare hospital to hospital, you’ll be able to compare hospital to private clinics! This ruling was heavily fought by the hospital lobbyists in an attempt to further keep patients in the dark. It appears on the surface at least that somebody is following the dollar and is starting to look at real reasons behind the rising cost of care! Pinnacle Rehabilitation Network opens new facility in Biddeford Maine! Are You Taking The National Physical Therapy Exam?